When seeking a job or trying to expand your number of business contacts, networking is a necessary tool. Anytime that someone takes the time to talk with you, grants you an interview or invites you a networking event, you should follow up with a thank you letter. Not only is this the courteous thing to do, but it will also help the person to remember you. Lets go over how to write a professional thank you letter for networking purposes. Keep it brief and too the point. Important people are busy people. Don't waste some one's time by including a lot of needless prose. Keep connected with the individual without requiring them to think too much. Let them know you'll be linking with them on LinkedIn or Facebook. Make it easy for them to accept an ongoing relationship. Don't wait too long to send your thank you letter. You want the person to still remember you, so you should send it within three days of the meeting, invitation or interview. Never send a generic thank you letter. Instead, mention something specific about the event or individual. If you have 50 notes to send after a networking event, you're doing it wrong. Avoid the temptation to be overly familiar, especially when sending a thank you letter for a job interview. The tone of your note should be pleasant and professional. Just as you don't want to sound too familiar when sending a networking letter, you should also try not to sound desperate. You should seem confident and provide value to the relationship. A handwritten note is fine, and some people prefer it because it gives the note a more personal feel. Just be sure that your handwriting is up to par. E-mail is totally acceptable. Lets go over a couple example letters to give you an idea of what a good thank you letter looks like. Below are two examples of thank you letters for networking. The first is a thank you for a job interview and the second for an invitation to a networking event. I wanted to send a quick thank you for inviting me to (name of networking event). I had a great time and was able to meet several great contacts. I enjoyed chatting with you about some ideas, and would love to get together again. Perhaps we could meet for lunch one day next week. Thank you again, and I hope you will keep me in mind for any future plans. I'll do the same on my end. I will connect with you on LinkedIn soon so I can help you connect with some of my partners. Talk to you soon. I wanted to send a short note to thank you for taking the time to talk with me yesterday in regard to the position for a customer service manager. I am impressed with the company's values and am happy to have the chance to be considered for employment. Since learning more about the position's requirements, I feel even more confident that I am a great fit for the job. I believe that customer service is the heart of any business, and I will do my best to make sure that every customer has a positive experience. I enjoyed meeting you. If I can answer any other questions feel free to contact me. Thank you again for your time. As you can see, the notes are short and to the point. You don't want to send a very long note, especially to someone who likely receives several such letters a week. Just make your point as succinctly as possible. 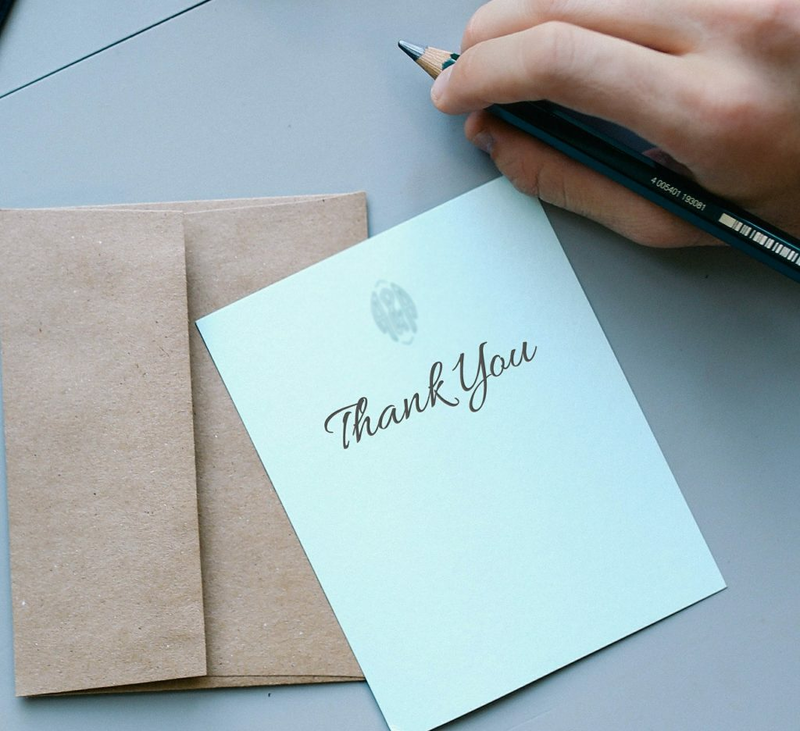 Sending a thank you letter is a great way to stand out from the crowd and to make the most of each and every networking opportunity.